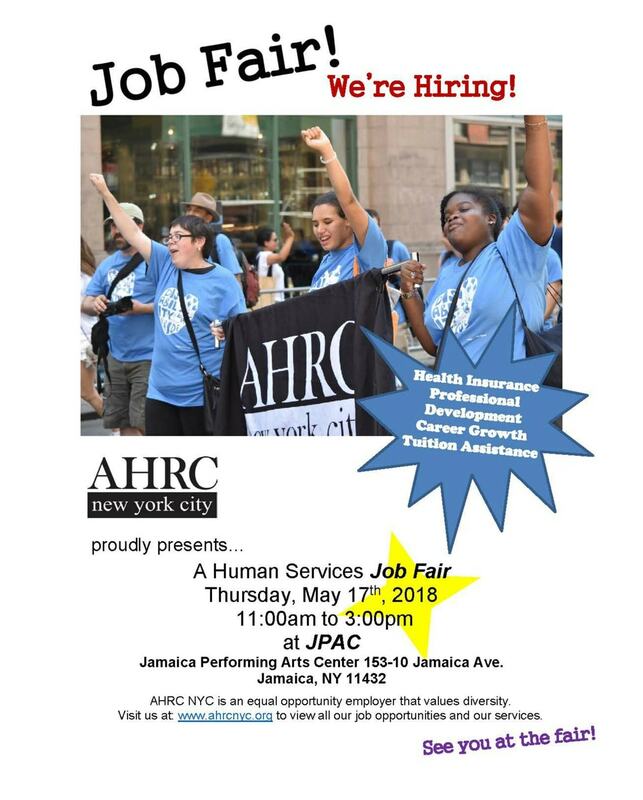 JBID & AHRC Presents: Job Fair! We’re Hiring! AHRC NYC is a family governed organization committed to finding ways for people with intellectual and other developmental disabilities to build full lives as defined by each person and supported by dedicated families, staff and community partners. AHRC NYC empowers those with developmental disabilities to live their passion lives. The Jamaica BID is collaborating with AHRC NYC with “People Power” a BID initiative proposed to businesses in Downtown Jamaica with hiring individuals with intellectual developmental disabilities. The BID invites you to take a close look at what AHRC New York City has to offer bright and talented people who join their diverse team, and a look at the benefits for hiring persons with disabilities.